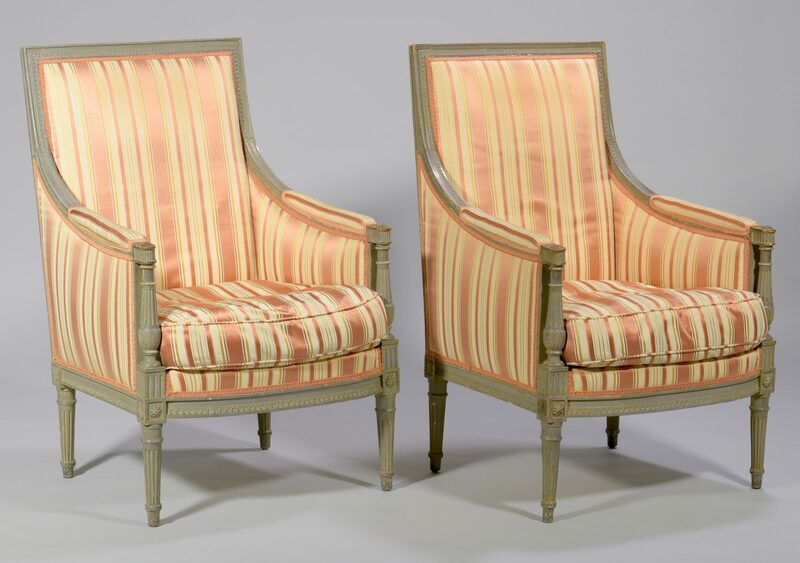 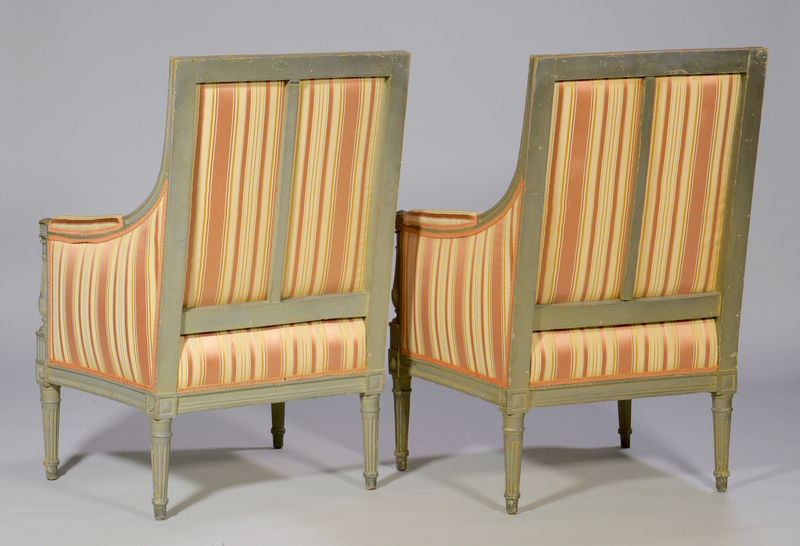 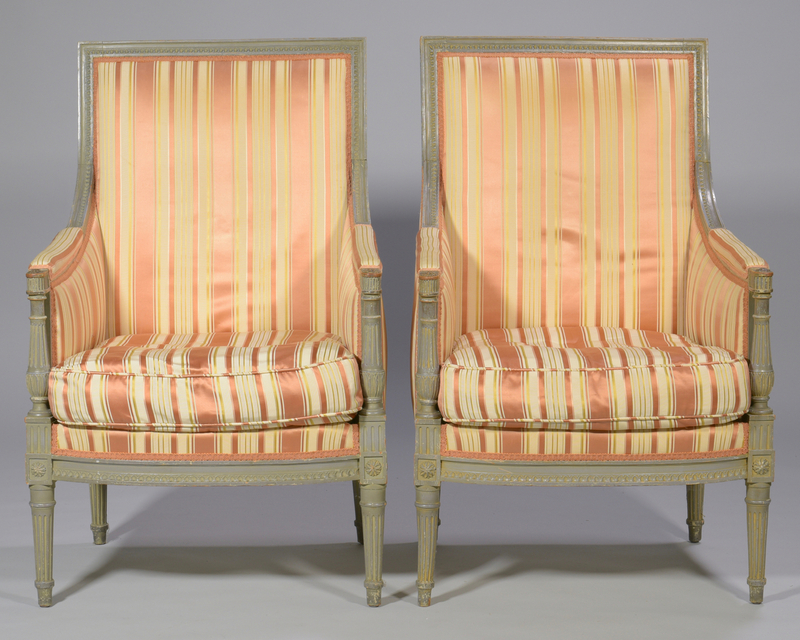 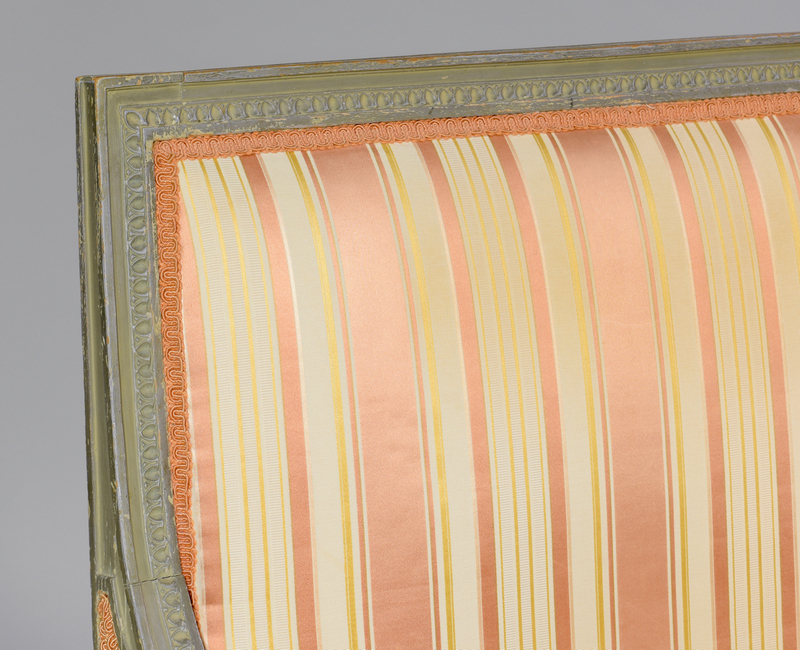 1st & 2nd items: A pair of Louis XVI style bergere armchairs with carved painted frames including reeded arms and legs, modern striped upholstery. 41 1/2" H x 24" W x 23" D. 3rd & 4th items: Pair of Louis XVI Style carved footstools, carved painted square frames with reeded bun feet, modern upholstery, thick modern upholstered cushions. 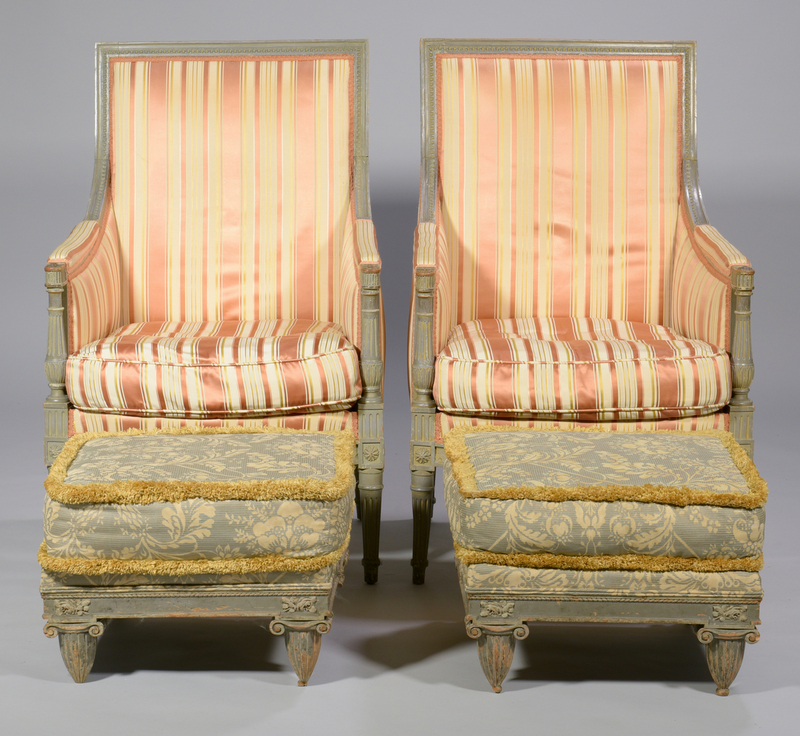 14 1/2" H (w/ cushion) x 20" W x 20" D. 20th century. 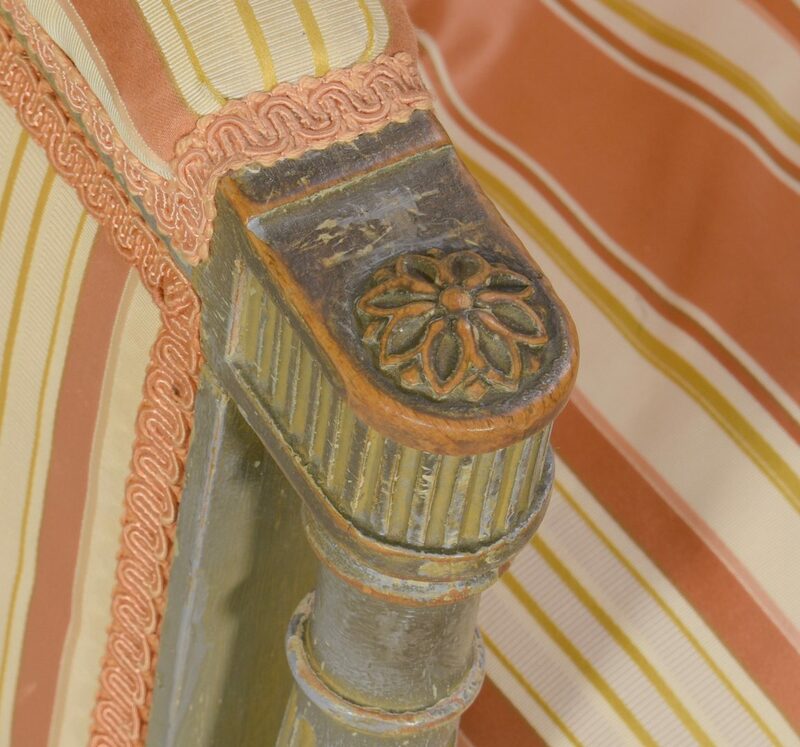 CONDITION: Chairs overall very good condition with general wear to painted surface and upholstery. 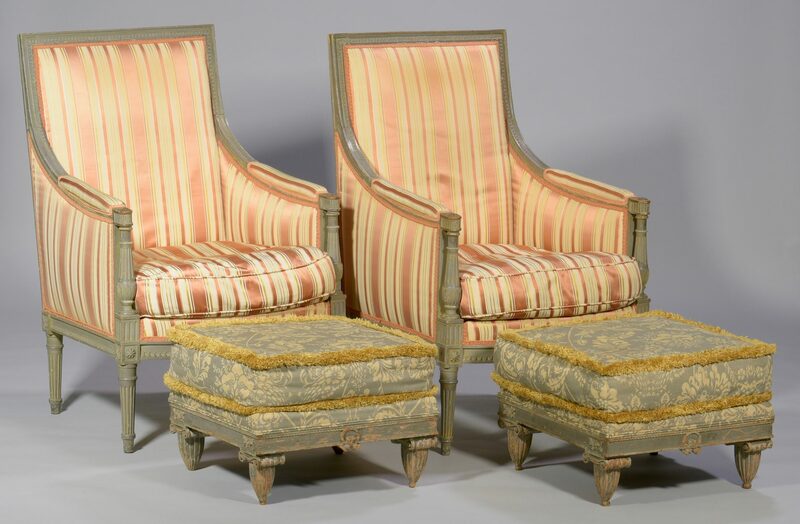 Footstools with overall general wear, some scattered light losses. 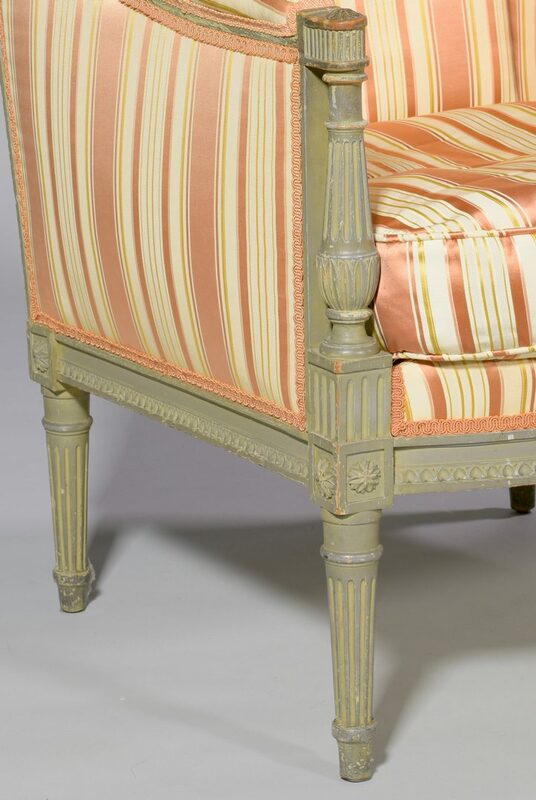 Some stains to upholstery.